From the Pulitzer Prize-winning author of Lonesome Dove Larry McMurtry comes the second novel about love and loss on the great plains of Texas. From 1920's ranching to range cowboys and WWII grief, McMurtry is the undisputed father of the Western literary epic. Leaving Cheyenne traces the loves of three West Texas characters as they follow that sundown trail: Gideon Fry, the serious rancher; Johnny McCloud, the free-spirited cowhand; and Molly Taylor, the sensitive woman they both love and who bears them each a son. Told in alternating perspectives over sixty years, Leaving Cheyenne follows their dreams, secrets, and grief against a changing American landscape. Tragic circumstances mark the trail, but fans of McMurtry's distinctive style will cherish his unforgettable characters and pathos of the American West. The New York Times Book Review A rarity...funny, wonderful, heartbreaking, exhilarating. San Francisco Chronicle A compelling story...consummate skill. 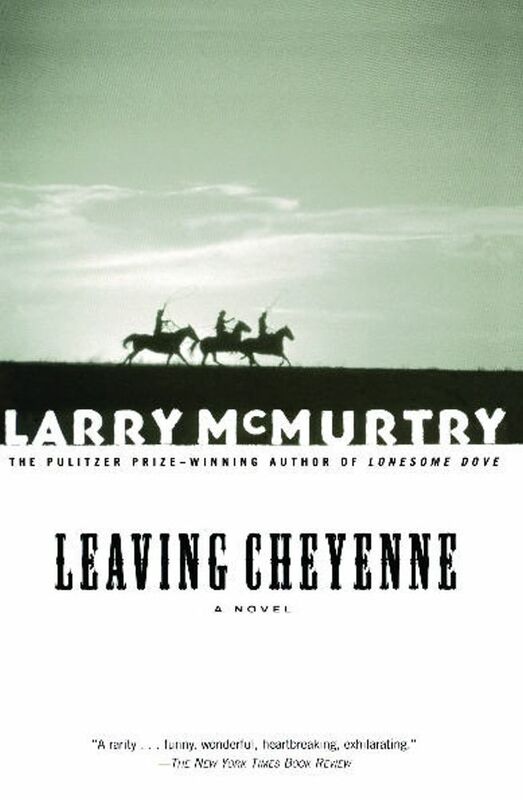 The New York Times Book Review [Larry McMurtry is] a poet, a resonant scene-setter, and a master of voice. The Houston Post What an imagination he has! When it comes to spinning a good yarn, few writers do it better than McMurtry.